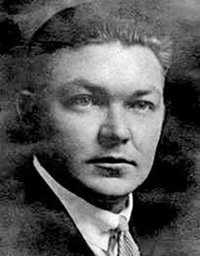 On Monday, August 7, 1922, Deputy Willfred Rorison of the Clark County Sheriff’s Office was shot and killed while he and federal prohibition agents raided a still in a rural area of Skamania County. As Deputy Rorison and the agents approached the still, Paul Hickey was making moonshine. Hickey grabbed a 30-30 rifle and shot Deputy Rorison along with Agent James A. Morgan. Agent John Pickett returned fire and killed Hickey. Deputy Rorison died at the scene. Deputy Rorison is survived by his wife.